Don't get fleeced by your hire car company. Whether you're renting a car in Australia or overseas you can get a sheep deal when you buy your rental vehicle excess with Baaaney! Cover for Australians, New Zealanders and overseas visitors who are hiring a car and travelling within Australia. Whether you’re an Australian that frequently hires a car or an overseas visitor looking to explore the expanses of the land down under, we’ll cover the rental vehicle excess that you are liable for. In Australia, if you rent a car and it’s damaged, lost or stolen, you will be charged an excess by the rental car company. This charge is often upwards of $3,000 for a standard vehicle and up to $8,000 for campervans and motorhomes. 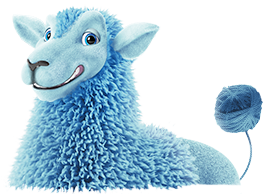 But Baaaney has a baaargain for you. From captivating coastlines to outback adventures, Australia is packed with diverse landscapes to discover. So whether your journey involves zipping around the city of Sydney, a convertible for your tropical Noosa holiday or taking a 4wd hire to explore the red desert centre, you can hit the road worry free with Baaaney. Our international option covers Australians planning to drive overseas. If you hire a car overseas and happen to have an accident, we cover the excess on your rental car insurance policy. If you’re taking your road trip worldwide, prepare for a whirlwind adventure. Whether it’s a flashy Fiat run down the Amalfi Coast, a VW venture through Germany or an all-American Jeep trip down Highway 61, Baaaney’s got your rental car excess covered. For full details on what we cover, please refer to our policy wording, commonly known as a Product Disclosure Statement (PDS). We've done our best to keep it simple and clearly outline what is and what isn’t covered by our policy. Please get in touch if anything is unclear. We'll remiburse you for the cost of repairs or the insurance excess that you are charged if your hire car is involved in an accident or is stolen while in your care, whichever is the sheepest. Insurance with hire car companies is often riddled with exclusions, such as windscreens, tyres, headlights and undercarriage damage. With Baaaney, you're covered for these scenarios and more. We cover more than just cars. We also cover four wheel drives, mini buses and people movers, campervans and motorhomes as long as they don't exceed 4.5 tonnes. Our excess cover includes all the major hire car companies as well as the smaller ones. As long as they're a licenced rental car operator, you can get cover. Whether your're visiting from overseas, or an Aussie planning an international adventure, we've got your road map covered. Policies can be purchased by customers irrespective of residency for travel within Australia. Some policies will only reduce your rental excess if your car is involved in an accident with another vehicle. We'll cover you for single vehicle accidents for those common scenarios like scraping the side of your car on that moving wall. We'll cover the cost (up to $500) to return your vehicle to the nearest depot if a medical adviser has confirmed that you are unfit to do so. There is no limit on the number of drivers covered under the policy. We cover all licensed drivers aged 21 to 75 years (inclusive) as long as they are nominated on your rental vehicle agreement.